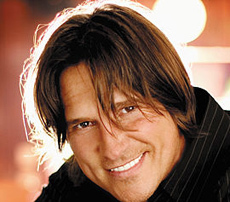 Born April 2, 1962 in Quincy, Florida, Billy Dean is an American country music singer and songwriter that became known to fans in the early 1990s with his appearance on "Star Search." Dean later earned a recording contract with EMI-Capitol records and rose to national stardom with a string of Top 10 hits on Billboard magazine's country singles chart. 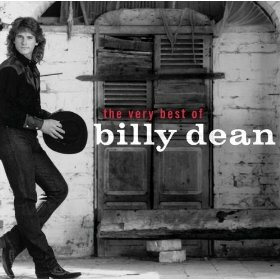 Billy Dean debut song, 1991's "Only Here For a Little While," rose into the Top 5, while the follow up, "Somewhere in My Broken Heart," repeated the feat. "Somewhere in My Broken Heart" won the 1992 Academy of Country Music award for Song of the Year; he also took home the ACM's New Male Vocalist award. Dean's string of hits continued in the early- and mid-1990s, with songs like "You Don't Count the Cost" (1991); "Only the Wind," "Billy the Kid" and "If There Hadn't Been You" (all 1992); "Tryin' to Hide a Fire in the Dark" (1993); "We Just Disagree" (1994); "It's What I Do" and "That Girl's Been Spying on Me" (1996). Real Man, his sixth album, was issued in mid-1998. This album produced only one Top 40 hit in its title track, followed by "Innocent Bystander" which reached #68. After this album, Dean issued a Love Songs compilation in 2000 before exiting Capitol's roster. He also took up acting once more, appearing in the minor TV specials A Face to Kill For and Blue Valley Songbird. That same year, Billy Deanand Alison Krauss made guest appearances on Kenny Rogers' single "Buy Me a Rose", which reached the top of the Billboard country charts in May of that year. This song was also a Top 40 hit on the Billboard Hot 100, and Rogers ' first Number One in thirteen years. In 2004, Dean began a comeback with the single, "Thank God I'm a Country Boy" (a remake of John Denver's classic) on his new label, Curb Records. In early 2005, he released the album, Let Them Be Little, which featured both "Thank God I'm a Country Boy" and the title track. 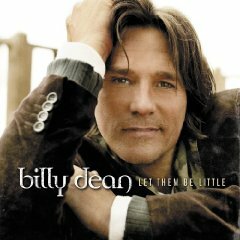 "Let Them Be Little" became Dean's first Billboard magazine Top 10 hit in almost nine years. 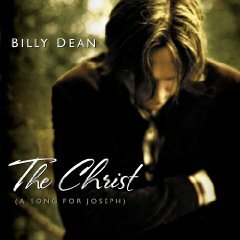 Billy Dean is currently working on a reality-talk based show which he will host.